Completed his postgraduate studies and residency training at the University of California Berkeley, School of Optometry. As part of his specialty training in contact lenses he served as a clinical instructor and conducted extensive clinical research. He received his Bachelor of Science and Doctor of Optometry degrees from the University of Houston, College of Optometry. He also received his Diploma in Optometry from the Technikon Witwatersrand School of Optometry in South Africa. 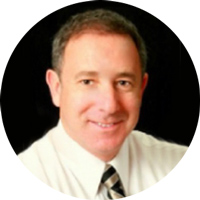 Having worked in various optometric and ophthalmology settings, Dr Goldman has practiced optometry since 1985. Dr Goldman has conducted clinical research in contact lens design, laser vision correction and ocular side-effects of systemic medications. Dr Mike who is married to Dr Ruth enjoys sports, music (including playing the drums) and spending time with their four children. Received her Doctor of Optometry from the University of Missouri, St Louis School of Optometry, where she received her graduating class award for most outstanding clinical skills. 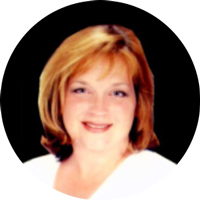 She has completed several advanced externship programs specializing in pediatric optometry and diabetic retinopathy. After practicing in a busy ophthalmology setting she served as the Managing Optometrist at one of the nation’s top optical stores. Dr Ruth Goldman also served on the Quality Assurance Committee for a national eye wear retailer. Dr Goldman has practiced at the Optometric Center since 1997. An accomplished flautist, Dr Ruth is married to Dr Mike and enjoys being mom to their four children.